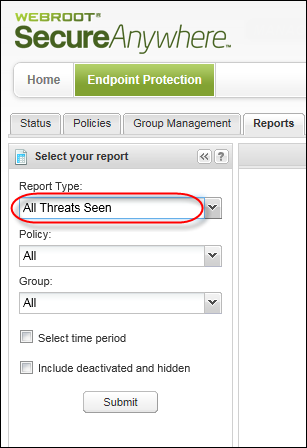 To locate and manage detected threats, you can generate the All Threats Seen report. 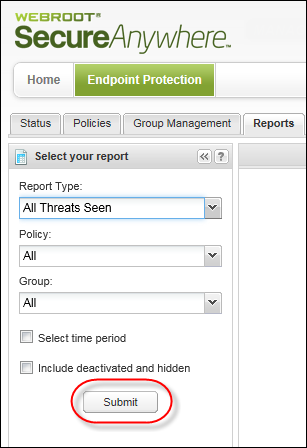 This report lists threats by filename, along with when and where SecureAnywhere detected them. 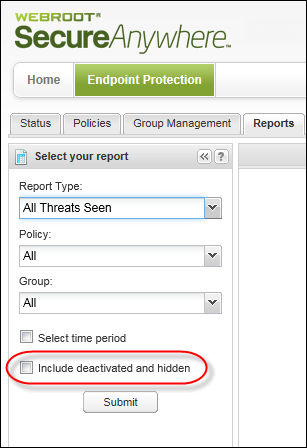 From the Report Type drop-down menu, select All Threats Seen. 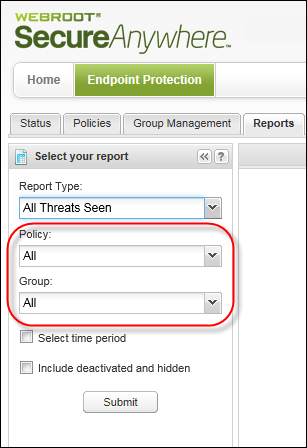 If needed, select a specific policy or group. If you do not select a policy or group, the report data shows all policies and groups, and, depending on our environment, may take a long time to generate. 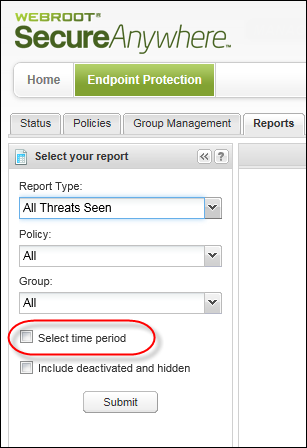 To enter a date range for the datam select the Select time period checkbox. This is an optional step. The report displays in the right panel. Each threat is listed by its filename, along with where and when SecureAnywhere detected and removed it. Create Override — To bypass Endpoint Protection and designate the file as Good (allow the file to run) or Bad (detect and quarantine the file), from the Command bar, click Create override. For more information, see Applying Overrides to Files From Reports.